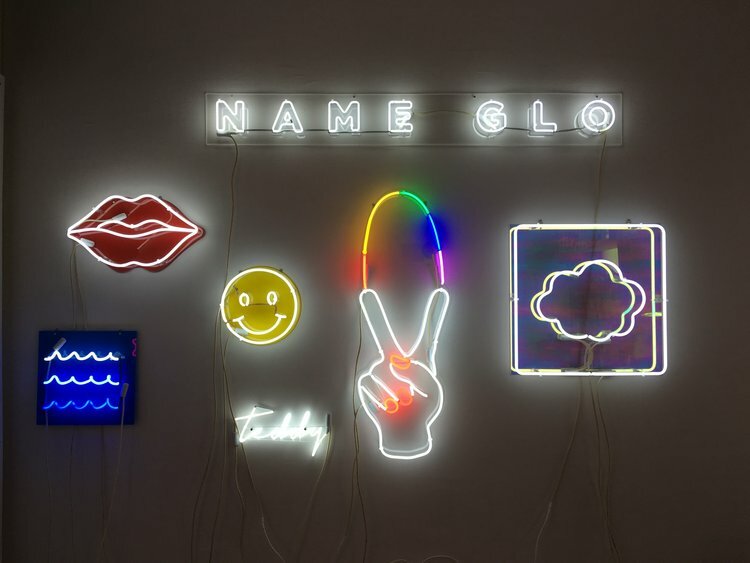 It's obvious that neon art has gained a newfound popularity with the help of social media (Instagram mostly) and mood board sites like Pinterest. 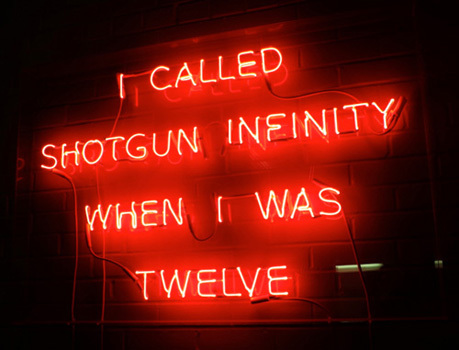 Mass image sharing online makes it easy for images of some of our favorite pieces of neon art to loose the attached credit of the artist and makers. As I scroll through Instagram and Pinterest, I see thousands of neon art profiles and collections populated with some very familiar works and some new. The sad thing, however, is that the artists and makers of these works are rarely credited. You may be thinking, "So what? People are sharing and liking and that's good for you. Why should I care?" Yes, the sheer excitement from people about neon and the sharing of works online certainly helps to foster a demand of our trade, but there are palpable downsides to this popularity. The downsides have become a topic of conversation among the industry and a feeling shared by benders around the world. Many would agree that the beginnings of neon are rooted in a commercial context. Neon signs are generally made for on-site business advertising however, we have since moved into a space where neon is much more than that. It has become a creative expression for artists since as early as the 1950's, well before Tracey Emin's whimsical handwritten emotions. 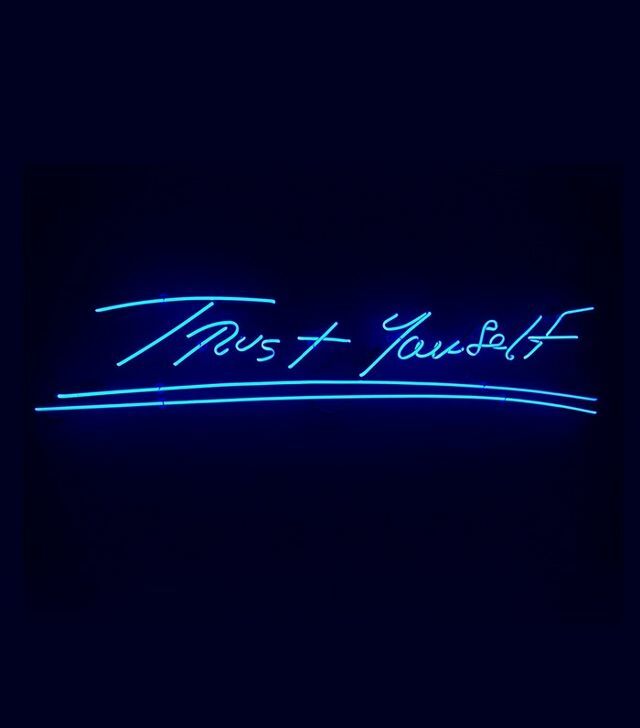 Bruce Nauman has become a household name, creating neon art as a way of commenting on the commerciality of neon, taking it out of that context and using that attention grabbing medium to "advertise" artistic ideals and concepts. Much of neon art still rides this conceptual train. 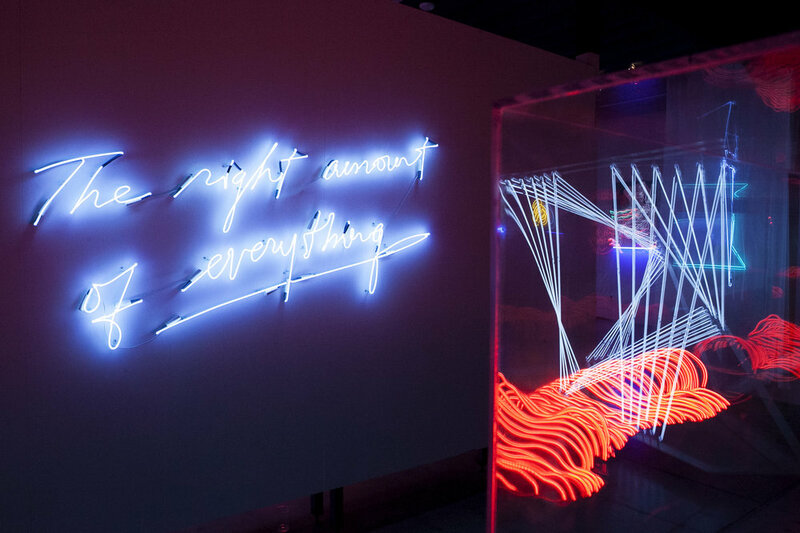 Now that we have the internet, neon art is even more accessible, it's everywhere. It has not only influenced hashtags and mood boards, but encouraged people to start businesses in custom neon creation without having any fires for bending neon in their place of business. How do they "create" custom neon? These businesses hire small neon shops to create their custom works for you, placing large mark-ups on the product to make a profit. They take customers and a price point away from the benders who actually make it. They literally have no purpose. How does this affect you, the buyer of a custom neon? In other words, why should you care about these benders and their profession? It affects you in a number of ways if you want a piece of neon for your home or business. The first is that you are paying more due to a mark-up that has nothing to do with the actual fabrication of the product. The second reason is that neon will eventually need maintenance and with that comes troubleshooting required by a professional. When you aren't in contact with the actual bender who made the work, but rather a company who hires the pro's to turn a profit, you don't have a simple way of repairing your piece of custom art. You need to go through your only contact, the company who doesn't really know anything. The most important issue is that of copyright infringement. Artists working in neon and exhibiting neon works in galleries and museums frequently have their works ripped off, unfortunately. 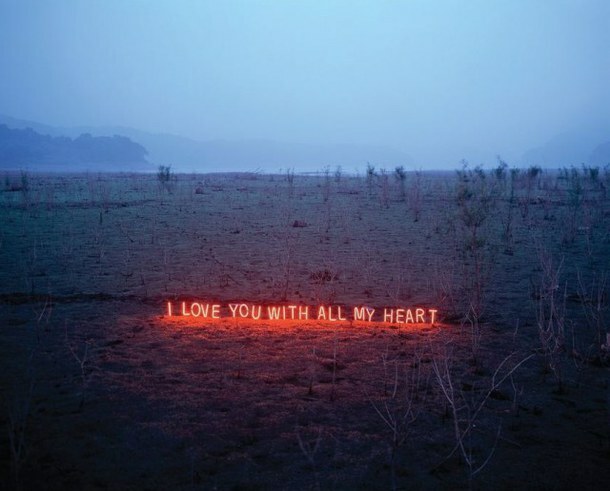 The works of neon art are those that have the most popularity on social media, making the biggest rounds across the platforms. People love it, they share, they tag......and then some people take a screenshot and send it to a bender to have it recreated. Ooops! Let me ask you a question - If you saw a painting you really loved, would you turn to another painter in your area, show them a picture of the painting and have them recreate the painting you want? Why does neon have such a gray area for some? I think the issue lies in the medium; many people see it as "just a sign", so the green light is there for their recreation. Aside from the moral issues surrounding this, it's a matter of copyright. Many artists have copyrights on their work (neon or not) and if you or your business copy their work then you are infringing, according to the law. I want to offer a couple of real life examples and open the floor for a dialogue surrounding this issue. These things have an affect on our careers and the authenticity of the artwork. If you are an individual, business or designer who loves neon - please take a moment to really think about this. It isn't a matter of "nothing is original anymore". If this were the case, copyright attorney's wouldn't have jobs and copyright lawsuits wouldn't happen. And it can't be brushed aside with the, "Imitation is flattery" argument. Flattery is an article written about the work or a sale on the work. Imitation is imitation and many times it's infringement. Additionally, it affects the value of the original work, thereby screwing over the artist and any collector who bought the original. 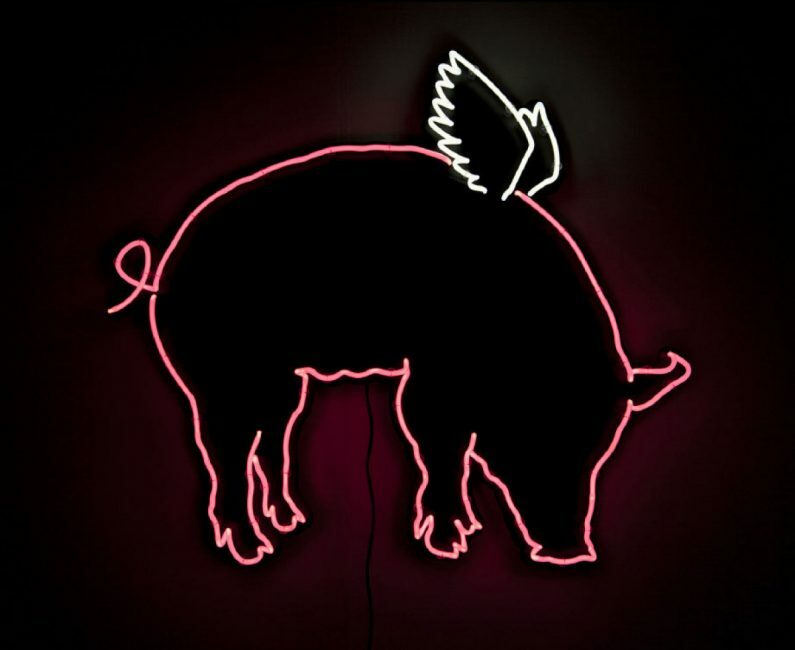 The most high profile example of neon art infringement is in the case of artist Kelly Marks. 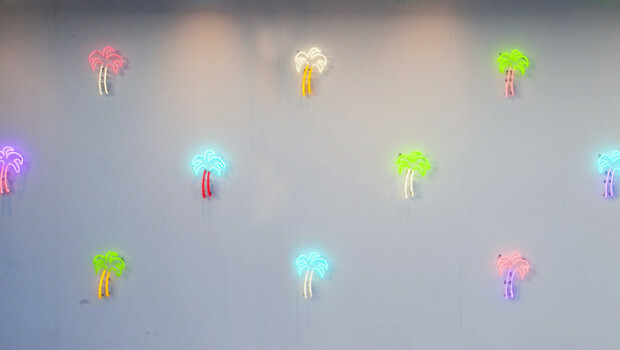 Many may recognize this witty neon piece (left) made in 2006. It has surely made the rounds online in the last 10+ years, but sadly most don't know the artist attributed to the work due to posts and reposts and reposts etc. Perhaps because of this ambiguous representation of the piece, a bar in Toronto felt they could have the work recreated, down to the line breaks and the color, not by the artist but by a local shop. The artist sued. It was quite controversial. As it turned out, Marks discovered that they also copied a Bruce Nauman. Nauman was informed and also planned to file allegations against the bar. “Sometimes being copied is the highest form of flattery,” he said, “but only if you get credit. When someone has been brazen enough to take credit for your work in support of his brand and personal identity, that’s a whole other matter.” [ thestar.com] Check out the article in the links section below this post to read more on this case. Olivia Steele is another artist whose work is repeatedly copied. This artist uses her own handwriting in her work, making it very difficult for infringers to say they "had no idea". 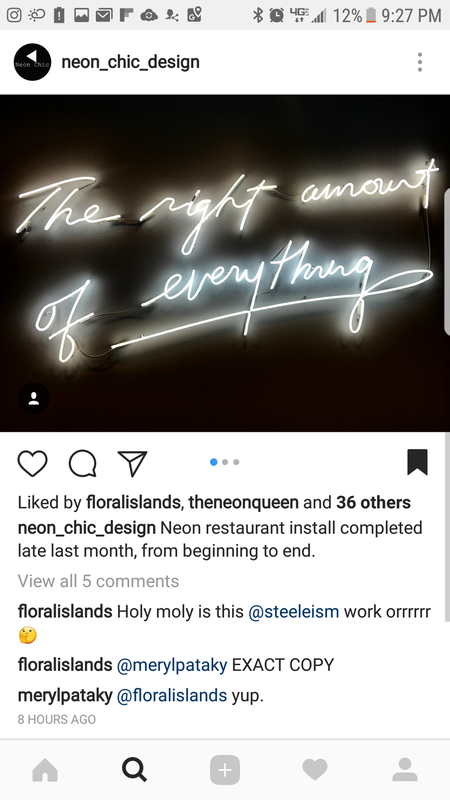 Here is a recent example of her work being copied by a middle man "custom neon" company for a restaurant in LA called the Mamón Restaurant Group. The restaurant clearly took a picture to this business, who then turned around and had a bender recreate the work. Not only does this harm the artist whose work was recreated without permission, but it puts the bender and their small business in a precarious situation for playing a role in the infringement, whether they knew it or not. I'd like to encourage businesses, brands, designers and collectors to be more diligent in their vetting of the work in question. If you can't say for sure, chances are you don't know enough about the work or who made it. 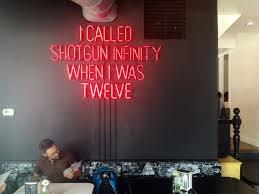 We aren't talking about open signs, your businesses logo - we are talking about poetic neons, unique works not made for commercial reasons. It should be pretty obvious if the work in question is installed at Burning Man, a gallery wall or an art fair, for example. "Inspired by" doesn't mean "copy it". I myself have been asked many times to recreate work by others. My main intention here is 1. To protect artists' work 2. Educate people about neon as a trade and an art form. 3. To encourage people to care about how things are made and by whom. I have devoted 10 years of my life to neon and will continue to devote decades more. As someone comparably younger than my colleagues, I feel it is my duty as a bender to do everything I can to prolong the life of the industry and to give it the respect it deserves. You don't have to care about neon the way I do, but we should all strive for integrity and authenticity in our everyday lives and in the artifacts that surround us.